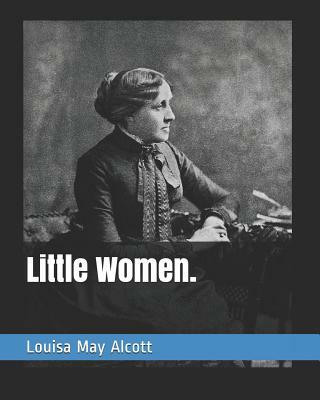 Louisa May Alcott November 29, 1832 - March 6, 1888) was an American novelist and poet best known as the author of the novel Little Women (1868) and its sequels Little Men (1871) and Jo's Boys (1886). Raised in New England by her transcendentalist parents, Abigail May and Amos Bronson Alcott, she grew up among many of the well-known intellectuals of the day, such as Ralph Waldo Emerson, Nathaniel Hawthorne, Henry David Thoreau, and Henry Wadsworth Longfellow.Alcott's family suffered from financial difficulties, and while she worked to help support the family from an early age, she also sought an outlet in writing. She began to receive critical success for her writing in the 1860s. Early in her career, she sometimes used the pen name A. M. Barnard, under which she wrote novels for young adults that focused on spies, revenge, and crossdressers.Published in 1868, Little Women is set in the Alcott family home, Orchard House, in Concord, Massachusetts, and is loosely based on Alcott's childhood experiences with her three sisters. The novel was very well received and is still a popular children's novel today, filmed several times.